Other details:In 1938 the Japanese Army occupied the Shandong Peninsular, opened coal mine east of our village, and set up electric fence. People living nearby would be caught if they didn’t take care, and my father was caught in April 1941 and burned to death. The other day, I read the article “History Is Not Forgotten: A Report of the Chinese People Demanding Reparation from Japan”, which is published in Reader’s Digest. The article brought back fresh memories of my miserable childhood. Though the disaster happened over 40 years ago, the trauma it inflicted to each victim has not been and may never be healed. My heart hurts whenever that painful history is mentioned. 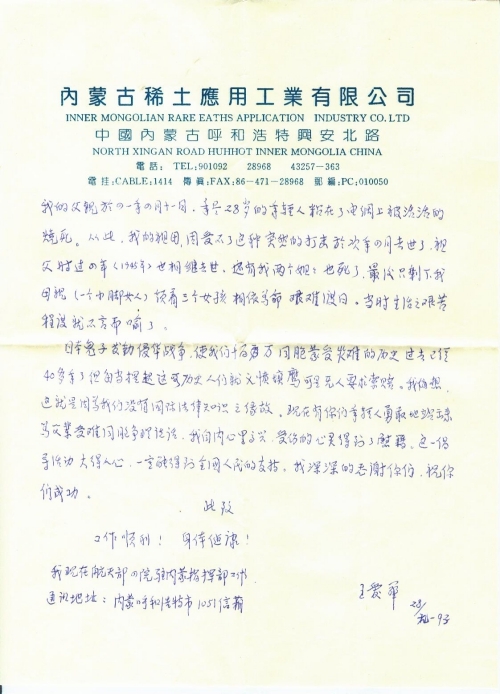 I greatly admire you two passionate young men for gathering information on war reparation procedures and for using your legal knowledge to pursue justice for Chinese victims from the Japanese government: submitting a proposal to the Chinese National People’s Congress and sending a letter to the Japanese Prime Minister. 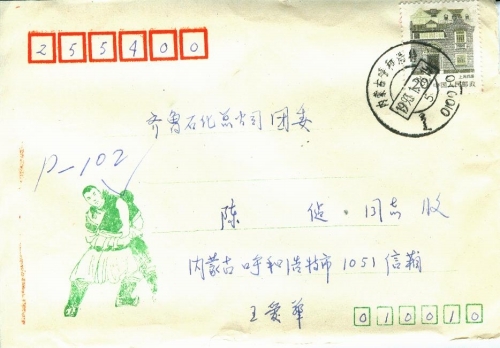 I was born into a farmer’s family in Tianzunyuan Village, Puji Town, Zhangqiu County, Shandong Province in August 1940. There were nine family members in my family, including my grandparents, parents, 4 elder sisters and me. We could make ends meet because my grandfather and father worked hard on our fertile land of several dozen mu (1 mu is about 667 square meters). In 1938, the Japanese army invaded Shandong Peninsula and opened a coal mine 400 meters to the east of our village. The mine was surrounded by a high voltage power grid, which easily and frequently electrocuted people and livestock. My father, only 28, was electrocuted to death by the grid on April 11, 1941. The tragic death of my father was such a heavy blow to my grandmother that she never recovered from it. As a result, she died next year. My grandfather also died 4 years later (in 1945). Then, my two elder old sisters died. Only my mother (a woman with bound feet) and three young girls were left to struggle for survival. It is not hard to imagine how hard and miserable their lives were at that time. Although more than 40 years have elapsed since the end of the war in which millions of Chinese people died and/or suffered tremendously, we all feel indignant every time when we reflect on the war. We did not demand reparation for such a long time because of a lack of knowledge of international law. 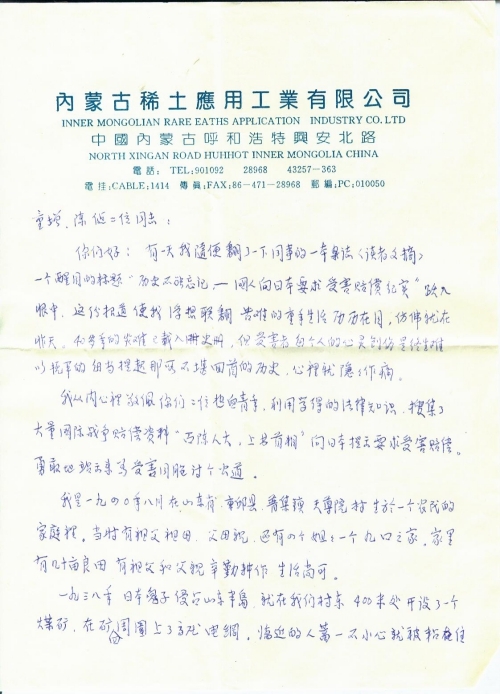 I am really glad and relieved to hear that young people like you have bravely started to pursue justice for Chinese victims. I am sure that people across the country support your signature campaign. Thank you so much. Wish you success. Wish you healthy and good luck with your work. I work at the Headquarters of the Fourth Research Institute of the Ministry of Aerospace Industry stationed in Inner Mongolia.